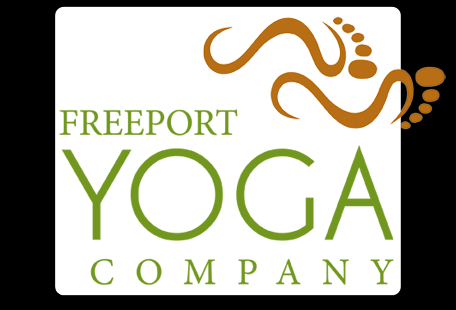 I recently had the chance to (finally) get to Freeport Yoga Company. I am particularly fond of the owner, Terry Cockburn, because she and her yoga friend, Jenn, provided me with the Yoga To Run marathon training plan that got me through my 1st marathon. I strongly believe the balance between yoga and running is what got me through the training injury free and for that, I will always be thankful to both Terry and Jenn. When I heard Terry was going to be opening up her own yoga studio, I was beyond excited for her and couldn't wait to get down to the studio for a class. If I lived closer, I'd definitely go there regularly but the 40 minute drive is a bit of a commute, so I will have to settle for the occasional class. It's better than nothing, right? The bonus is that her yoga schedule is online - so when my schedule allows, I find a class that fits my schedule and I can even pay online as well. This is incredibly convenient. Her yoga studio is located in Freeport, Maine just down the hill from the famous L.L. Bean. A great combination - do a little shopping and then take on some yoga. Sounds great, doesn't it? I love the choice of colors in here. The orange brings on a warm glow, in my opinion, perfect for relaxing and enjoying some yoga. The class I took was Yin Yoga and focused on deep stretches. I had practiced some yin yoga during marathon training, but never participated in a 60 minute class focusing solely on Yin Yoga. This class was perfect for me. Freeport Yoga Company has a variety of yoga classes available to meet just about everyone's needs. If you live in the Freeport area or are going to visit Maine, you definitely should make it a point to visit Terry at Freeport Yoga Company and take a class or two. You will not regret it. Very cool - I really need to try yoga again in a studio. I've done that once and then keep trying with videos. Just can't seem to get into it though. love orange and love yoga! I'm loving yoga too! The studio looks great, love the colours! Looks like fun! I will have to check out some yoga classes in Rochester once we start marathon training. I LOVE Freeport, we always try to stop there after we visit my parents.